Mr. Ryner Sagun - Regustered Nurse - Gateway to Canada | Canada Immigration Consultancy! Mr. Ryner Sagun with Ms. Vangie Naron. 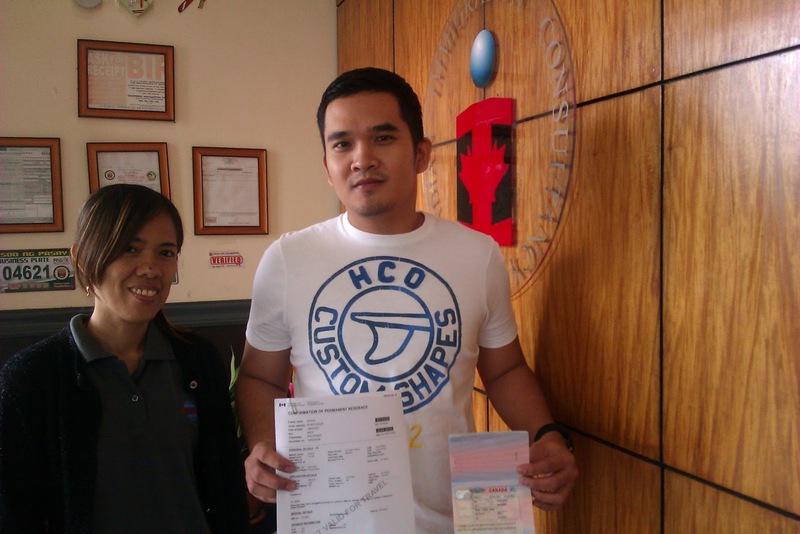 Mr. Ryner Sagun, a Registered Nurse, finally received his visa few days ago. His passport was submitted to the Visa Office on July 2012. Three months after, the Visa Office contacted Mr. Sagun and was asking for his original passport. He was worried of course. But since we sent his passport via a courier, we managed to track his passport. Despite the unnecessary delay caused by the Visa Office, it's still worth the wait for Mr. Sagun. He will be moving to Canada soon as a permanent resident.